Don't leave Hawaii without trying out your surfing skills on the waters of the Pacific. 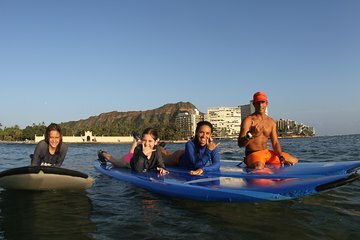 During this beginner group lesson at a secluded location in Waikiki, you can practice away from the crowds with an instructor. This surf school is owned by world champion surfer Kai Sallas and offers lessons designed to give you a safe and easy way to learn a very difficult sport.